Providing a secure, versatile and optimal viewing angle. If you’re limited on space in the living room or bedroom, then a tv wall mount bracket is ideal to save some much need floor space. They can also be positioned at the most optimal viewing angle. Here are our top 10 best TV wall mount brackets that are secure and versatile. If you are looking for the best TV stand wall mount bracket product, then consider the advantages of the Ross with its built-in spirit level, ensuring accurate installation, and its cable tidy feature. Perfect for your flat screen television, it will tilt and swivel on its full motion arm, ensuring flexibility and the very best viewing position. It is a VESA compliant mount with a black finish, will take a maximum TV weight of 40kg and comes pre-assembled. This is the ideal bracket with which to mount your small screen TV, taking a maximum weight of 15kg and being VESA compliant. It provides a reduced glare function, ensuring a clear picture even with the sun shining into the area. The cable tidy feature keeps everything neat and the full motion range will tilt and swivel, allowing you to angle your set to ensure a perfect viewing from anywhere in the room. It also provides a safety mechanism which will avoid accidents, has a low profile and is easy to install. The Invision Ultra Strong tv wall mount bracket is designed to support up to 50kg and is ideal for LED, LCD, Plasma and Curved screens. 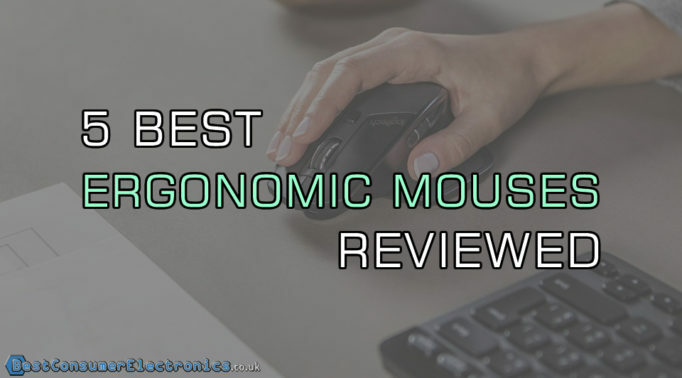 It includes a double arm tilt and swivel feature and comes complete with a 1080p HDMI cable and spirit level. Designed for strength, using a cold-rolled carbon steel composition, this tv wall bracket comes with stress tested load-bearing hinges, removing the risk of bending once fully extended. You are able to easily change your viewing position, whilst also eliminating glare with the One-Touch tilting operation. It is VESA compliant and includes a cable concealment panel and all mounting fixtures, ensuring ease of installation. The flexibility of the VESA compliant AVF JNL655 ensures that you get the best TV stand wall mount bracket possible for solid and wood stud walls; it can even be installed into raised corners. The low profile design allows it to blend in nicely whilst also providing unlimited positioning. Such is its flexibility, it can be either folded flat against the wall, extended out or tilted between a range of five to 13 degrees. It also comes with an easy to use wall screen levelling system, allowing adjustment at the touch of a finger. 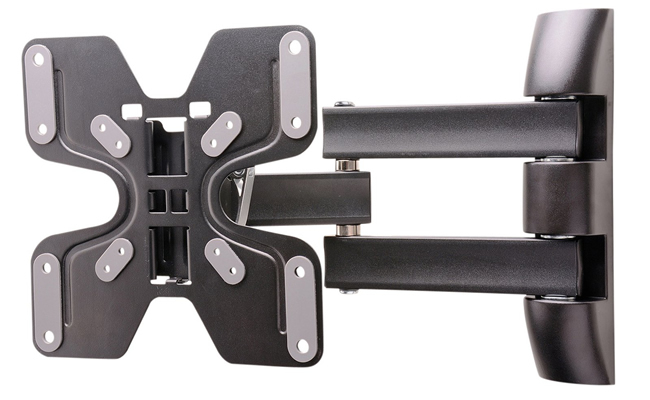 The Flux tv wall bracket by One For All provides innovation together with technology, and because of its unique design, it can be mounted into corners. It has a gas spring for a smooth movement, making the adjustment of your TV’s position very easy and permitting viewing from just about any angle. The protection system will ensure that your television will not bang into the wall or the wall mount arms – there is also an integrated magnetic lock which lets you to set a default position close to the wall. VESA compliant, this unique design allows for full right and left movement, creating the ideal viewing position, and installation is simple to boot. Triple arms on the Ross Superior will provide extra support and full motion for your home cinema experience. It’s also perfect for corners or to sit flat against your wall. The unique protection pads will help to stop your TV from getting scratched whilst also reducing vibration, leading to a much better audio clarity. It’s a multi-positional bracket which tilts and swivels and it is also VESA compliant. It comes pre-assembled in a black finish and has an inbuilt spirit level, ensuring correct installation. 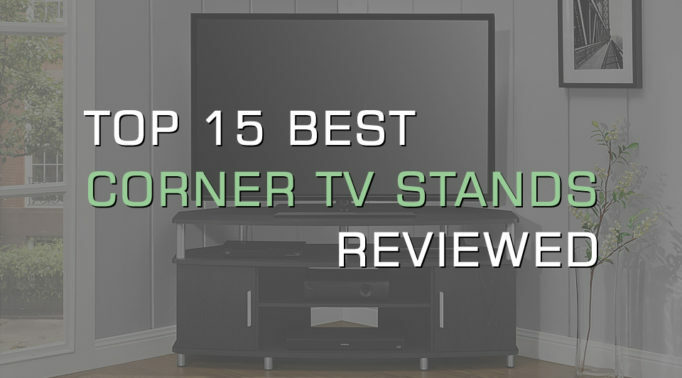 The Sandstrom SFMGM14 will support a tv that weighs up to 15kg, and is VESA compliant. 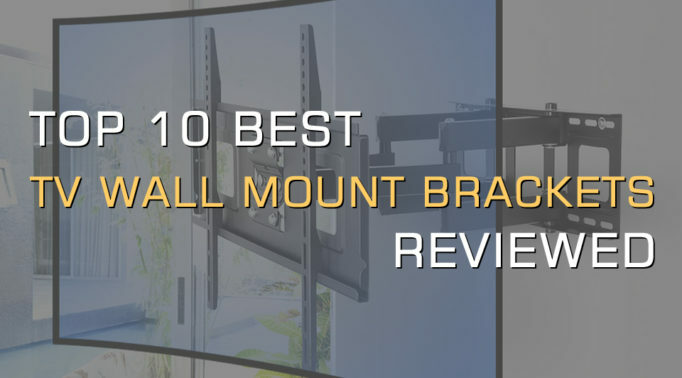 This bracket is easy to install and, as it is cantilevered, you will be able to position your TV in exactly the right position to ensure unobstructed viewing. You can move your set to almost anywhere within the room with a maximum 20cm extension from the wall. The gas spring mechanism allows for easy positioning and the tilt feature is perfect for when you are lying down. It also provides a useful cable management system. 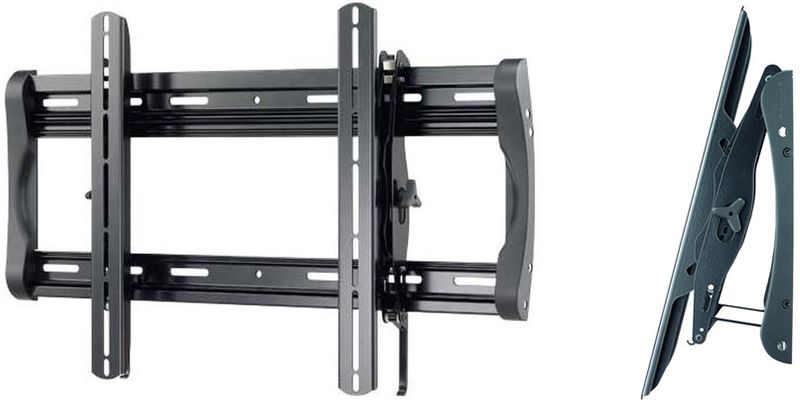 The easy to install double arm bracket on the One For All WM6251 allows for a 180 degree horizontal rotation and is ideal for most flat-panel televisions. The useful guide and video makes installation easy and the screen lock mechanism permits the fixing of the wall sections and TV separately, followed by simply clicking them together. It’s VESA compliant, has a cable tidy, tilt facility, built-in spirit level and a black and white finish. With its built-in spirit level, this is the ideal bracket for 3D, LCD, LED, Plasma, Curved and Flat Screen TV’s. This super strong bracket – taking up to 40kg – offers a range of VESA compatibilities and is quick and easy to install, coming with a complete set of fitting hardware. 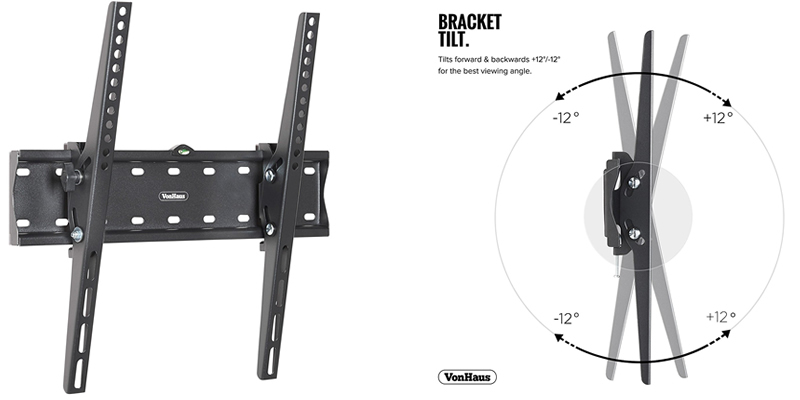 The VonHaus Tilt TV Wall Mount Bracket is extra slim at just 53mm from the wall and usually includes a 1.8m HDMI Cable (HDTV-E). The VESA compliant Sanus LT25-B1 is suitable for very large screen televisions as it has a maximum supported weight of 79.5kg. It offers virtual axis tilting technology, which is superb for making smooth and effortless adjustments. 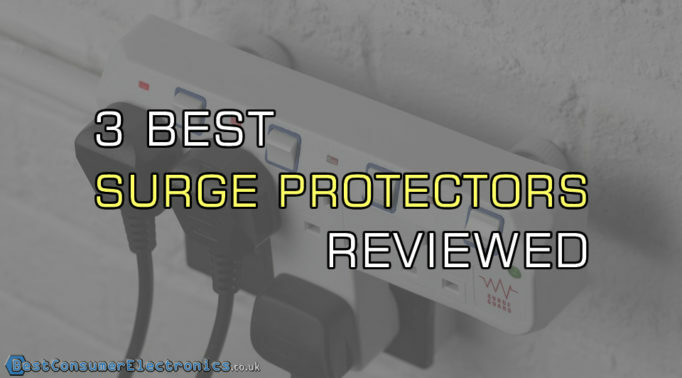 This bracket also comprises of a useful ‘ClickStand’ feature which allows for the connection and alteration of cables without having to dismount – it holds the TV out from the wall, then clicks securely back into place after use. Constructed from a strong, lightweight metal and finished in black, if you are looking for the best TV stand wall mount bracket, you will not go wrong with the Sanus LT25-B1.